#Kingston, October 1, 2018 – Jamaica – Students from primary and secondary schools will be introduced to the exciting world of robotics and careers in the maritime industry through the Women in Maritime Association, Caribbean (WiMAC) SeaPerch Underwater Robotics Programme. 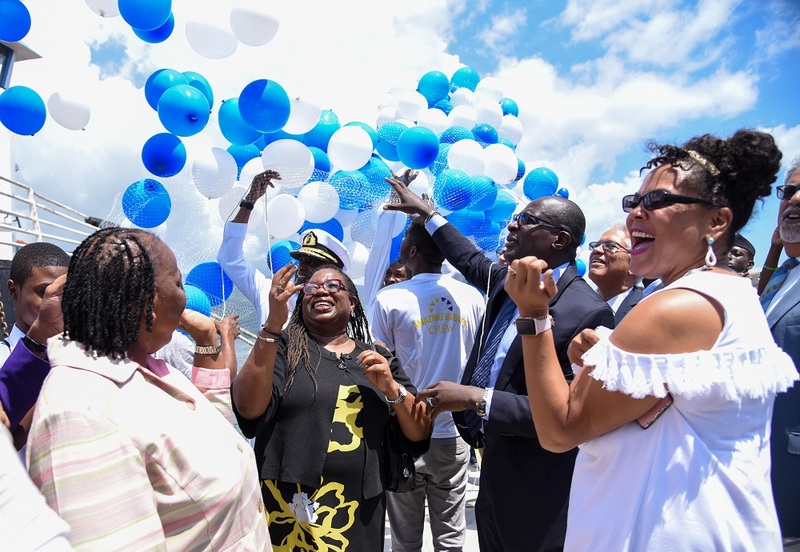 Under the initiative, which involves collaboration with the Caribbean Maritime University (CMU), teachers and students will be equipped with the resources they need to build an underwater remotely operated vehicle (ROV) in an in-school or out-of-school setting. Throughout the project, students will learn engineering concepts, problem-solving, teamwork, critical thinking and technical applications. Speaking at the launch held at the CMU’s Palisadoes Park location in Kingston on Thursday (September 27), Minister of Transport and Mining, Hon. Robert Montague, welcomed the programme, noting that it will introduce students to basic engineering and science concepts with a marine-engineering theme. He said that the Ministry stands ready to support the initiative and looks forward to deepening the collaborations as the programme grows. For his part, Minister of Education, Youth and Information, Senator the Hon. 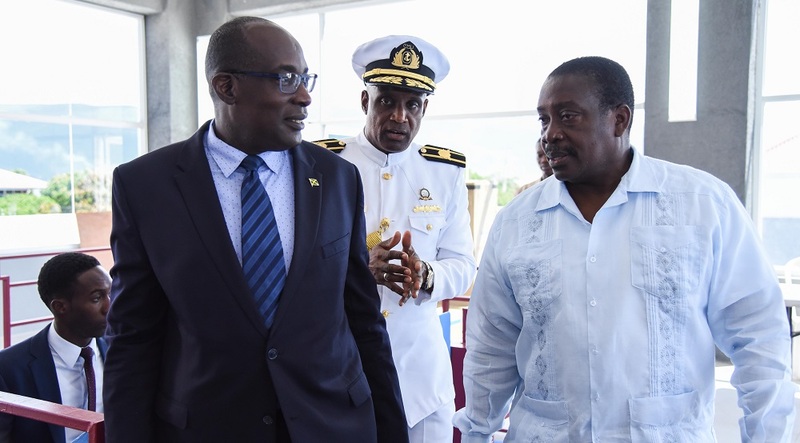 Ruel Reid, said SeaPerch “is an exciting and excellent opportunity” to highlight and increase awareness of career options for young people in the maritime sector. “This innovative SeaPerch outreach programme… is exactly the kind of project that we need to use to get more young people interested in science, technology engineering and mathematics (STEM) subjects and related careers,” he noted. Senator Reid said that by teaching basic skills in ship and submarine design, the programme encourages students to explore naval architecture and marine and ocean engineering concepts through practical hands-on learning. “The students are excited by the robotics [aspect of the programme] which provides some fun for them,” he noted. Senator Reid said the Ministry has recognised that at various levels of the education system, there is need for critical thinking skills, and the SeaPerch programme is an excellent channel through which this can be achieved. “In the long run, a programme such as this one can provide maritime industries with skilled individuals that can fill workforce needs,” he pointed out. Vice President of WiMAC, Vivette Grant, noted that building a SeaPerch ROV teaches basic skills in ship and submarine design and encourages students to explore naval architecture, marine and ocean engineering principles. “The launch of a project… is designed to impact the lives of our youths in a positive way,” she added. A number of students have already been exposed to SeaPerch and the potential it offers, through summer camps held earlier this year. A training of trainers orientation programme was held in February. WiMAC is a regional group of female maritime professionals committed to increasing the performance, participation and contribution of women in the maritime sector. Header: Minister of Education, Youth and Information, Senator the Hon. Ruel Reid (left), speaks with Minister of Transport and Mining, Hon. Robert Montague, at the launch of the Women in Maritime Association Caribbean (WiMAC) SeaPerch Underwater Robotics Programme at the Caribbean Maritime University (CMU) in Kingston on Thursday (September 27). In the background is President of the CMU, Professor Fritz Pinnock. Insert: Minister of Education, Youth and Information, Senator the Hon. 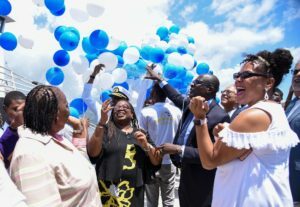 Ruel Reid (second right) observes as balloons are released to officially launch the Women in Maritime Association Caribbean (WiMAC) SeaPerch Underwater Robotics Programme at the Caribbean Maritime University (CMU) in Kingston on September 27. Others (from left) are Vice President of WiMAC, Vivette Grant; Vice Principal, Dinthill High School, Monica White; and Executive Director, Dr. Andrew Wheatley Centre for Digital Innovation and Advanced Manufacturing, Erica Simmons.